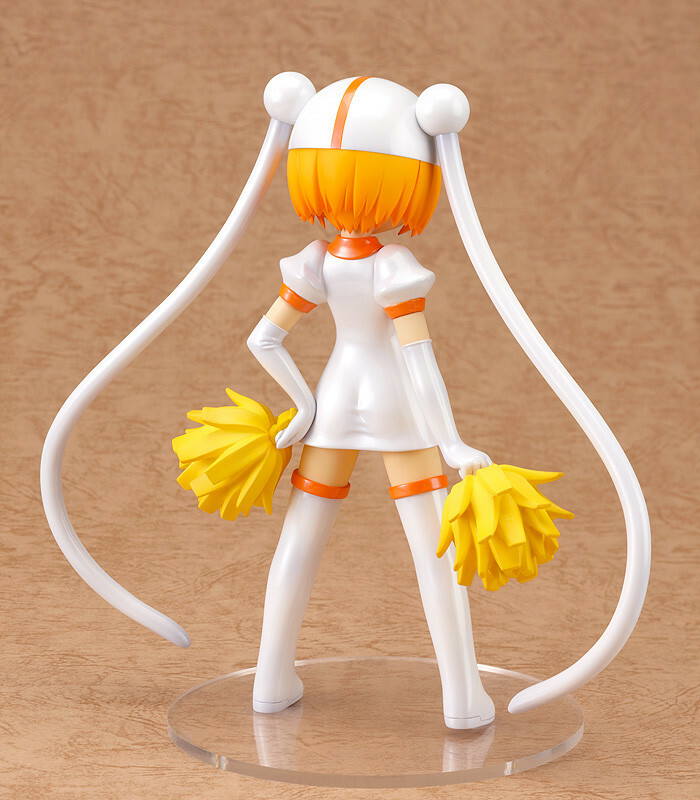 The first scale figure to join the Cheerful! 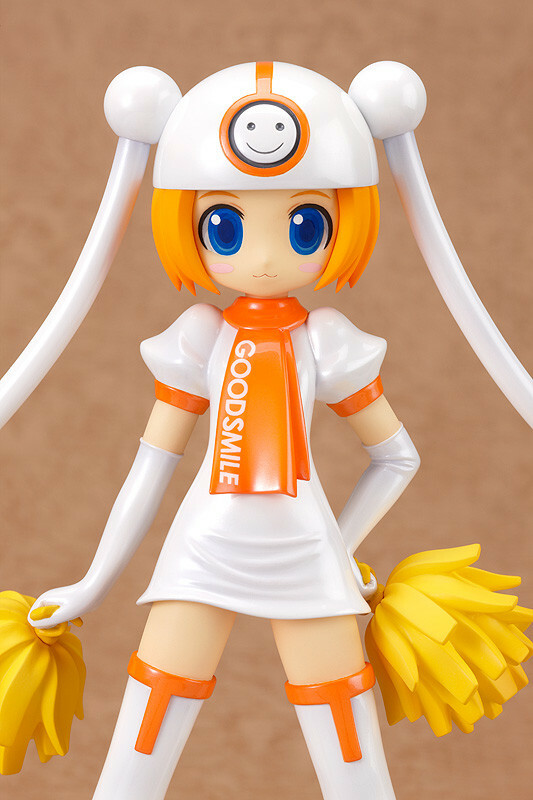 JAPAN line-up is a 1/8th scale figure of Good Smile Company's mascot character, Gumako! The proportions from the original Nendoroid design have all been scaled up by Hiroyuki Tsumezuka for her very first scale figure debut, looking as cute as ever! 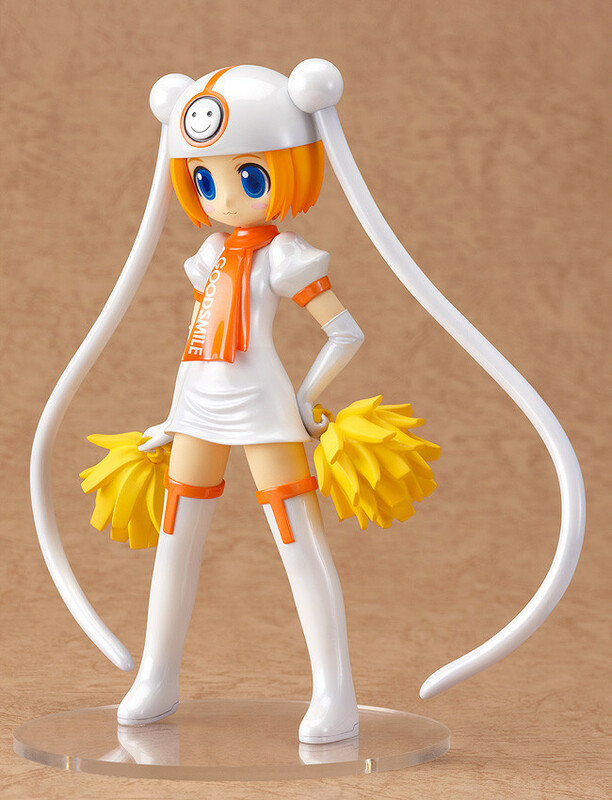 Her white outfit is complemented by the orange scarf around her neck and the yellow pompons in her hands. Her innocent eyes and refreshing expression will cheer you on through the toughest of times! 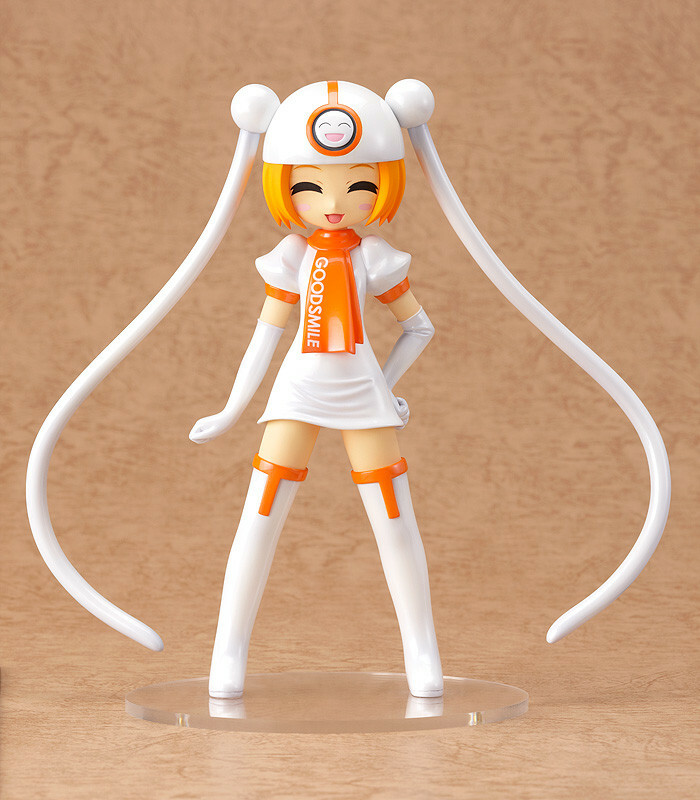 She also comes with an alternate expression with a beaming smile! 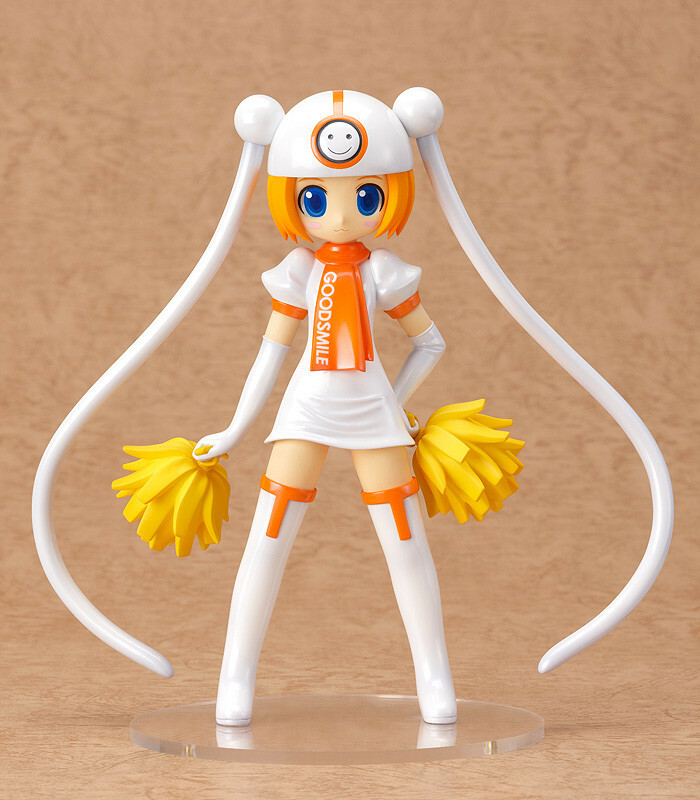 For each figure sold, Good Smile Company will donate 2000JPY to aid relief efforts in Japan. Painted 1/8th scale PVC figure with stand included. Approximately 150mm in height. Cheerful Japan! is a collaboration project between Good Smile Company and other figure makers to help support the relief efforts in Northern Japan. Every month for the next year we will be announcing a new set of charity products on the 11th of each month. We hope the money donated will help Japan get back on it's feet even if it's just a little bit faster! Please see their respective home pages for more information. Orders can be made between 11th November 2011 at 11:00 until the 28th November 2011 at 20:00. Delivery is free within Japan. Delivery will be in April 2012. Due to the donation taking place before products are delivered, you will be charged on order and not on delivery. For each sale made, 2000JPY will be donated to aid relief efforts. Five figures per person will be available. Payment options are direct bank transfer, or credit card. Cash-on-delivery is not available. Products will be made to order. Please order within the dates specified above. If you have any questions please email shop@goodsmile.jp. Japanese only. Figures will be made to order. Your credit card will be charged on order, and not when the product is sent. This is due to the donation taking place before products are delivered. Shipping will be charged at 2000JPY to all countries. You may be charged additional fees such as import tax or customs duties when buying from overseas. Please be aware of this before ordering. Payment will be in Japanese Yen. Please mail shop.overseas@goodsmile.jp if you have any questions. English only please. The following banners has been made to help support the fund-raising efforts for those in Japan - please feel free to make use of them. - If you wish to make use of a banner, please save and re-upload it before use.